After seeing everyone’s snowy pictures over last weekend I was feeling pretty grumpy about our rain! 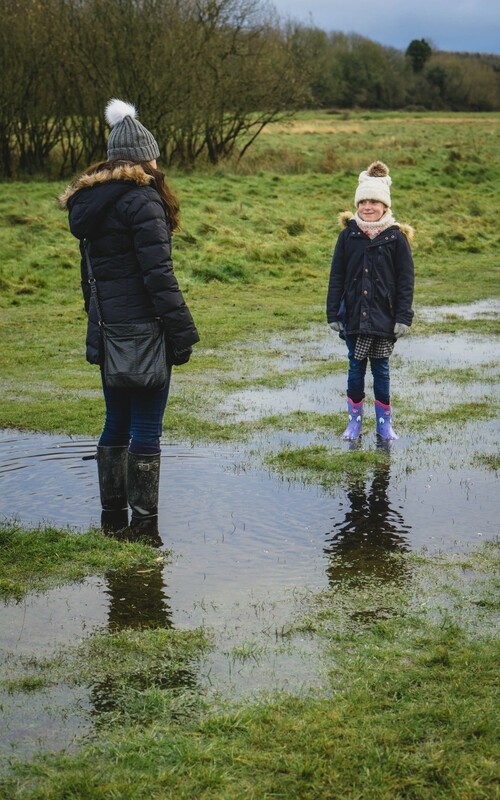 So what better way to embrace the rain, then to go puddle jumping! 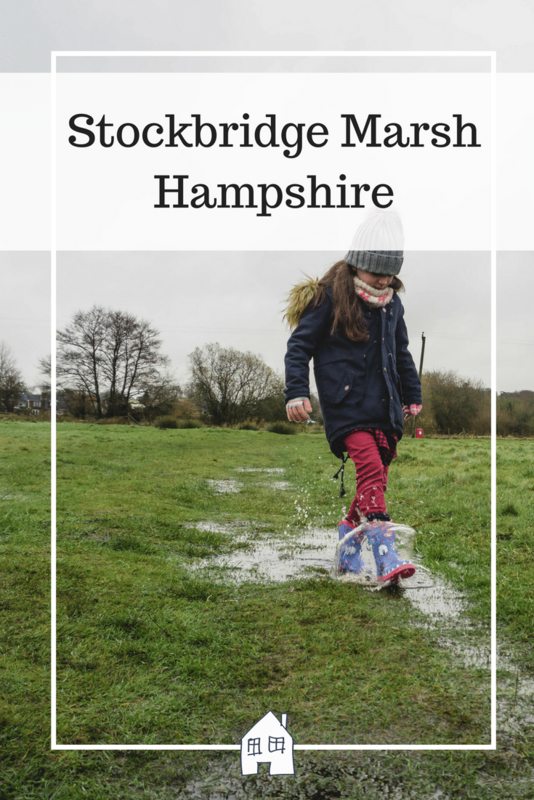 The kids adore this, and loved it when we took a walk along Titchfield Canal when it was flooded. Just being allowed to run through the puddles, and splash themselves is perfect for kids! 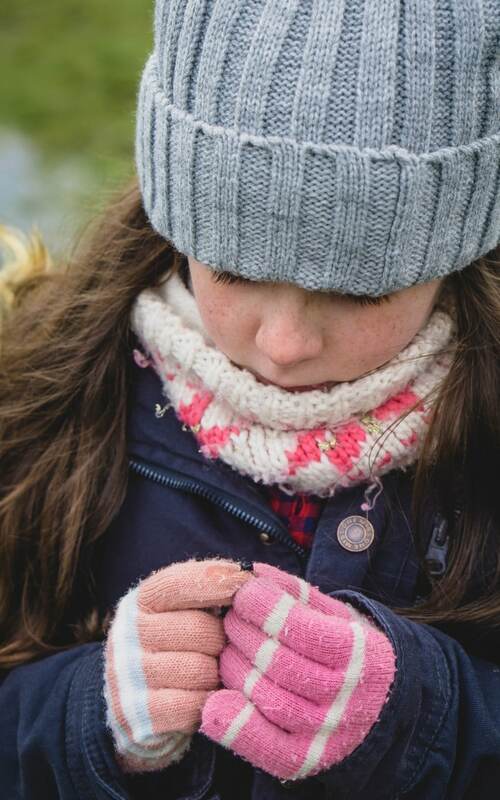 So we popped on our wellies, hats, gloves and scarfs, wrapped up and found somewhere new. 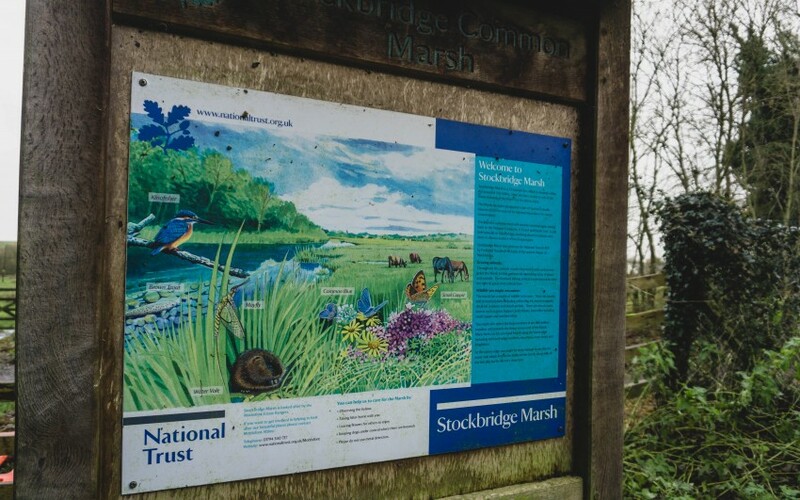 Stockbridge Marsh is under National Trust ownership, however it is open to the general public with a free car park. It is situated right in Stockbridge and very easy to find. 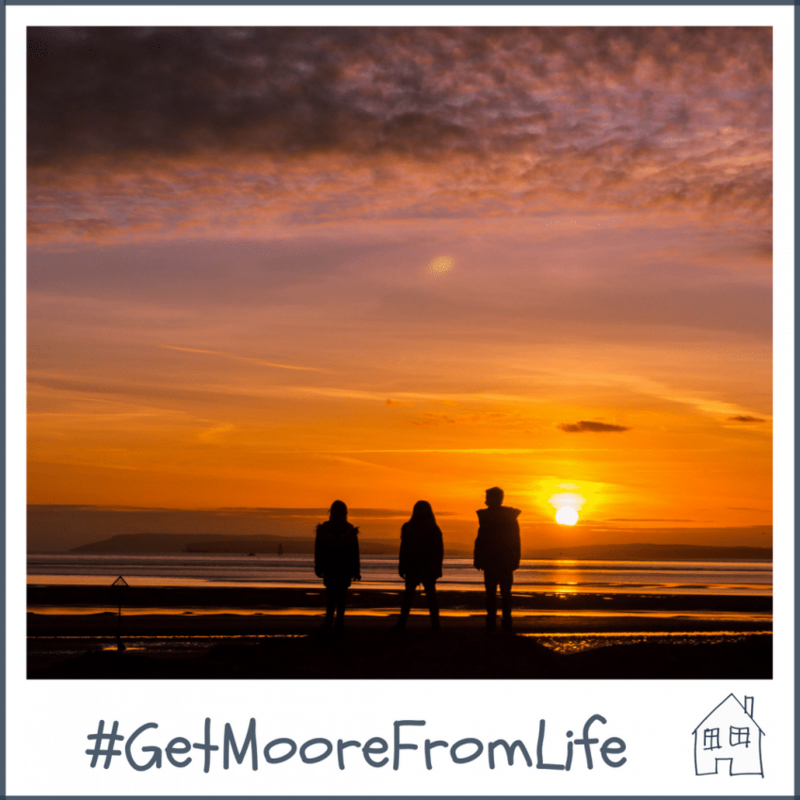 Use the Sat Nav SO20 6JH or directions on the National Trust website. 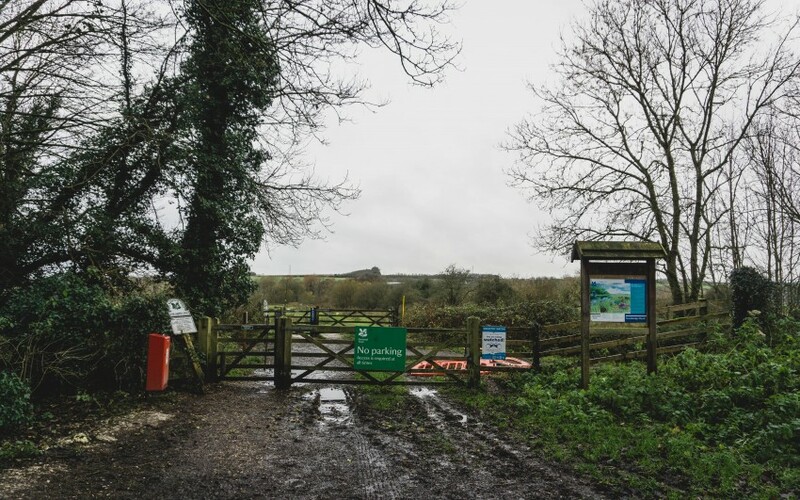 It is a perfect place to walk the dog, with a large open field and dog bins provided for you. Be aware of livestock though, as the field next to this had sheep in. We didn’t walk there though, and followed the field along the river edge and around in a circle. They say it is an easy 1.8mile walk, and along with puddle splashing it took us just around 1.5hrs to walk around. However most of this was spent in puddles and not walking very quickly! 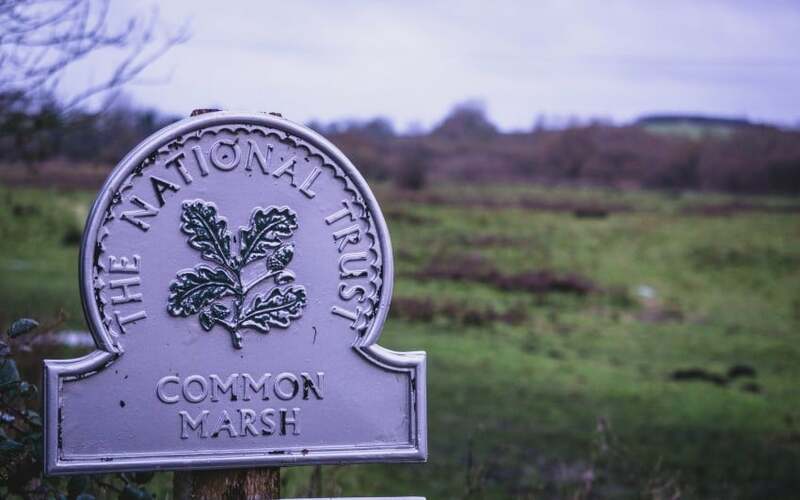 A rich wetland habitat, the Marsh consists of unimproved wet grassland and fen-like vegetation, with herb-rich hummocky areas across the site. 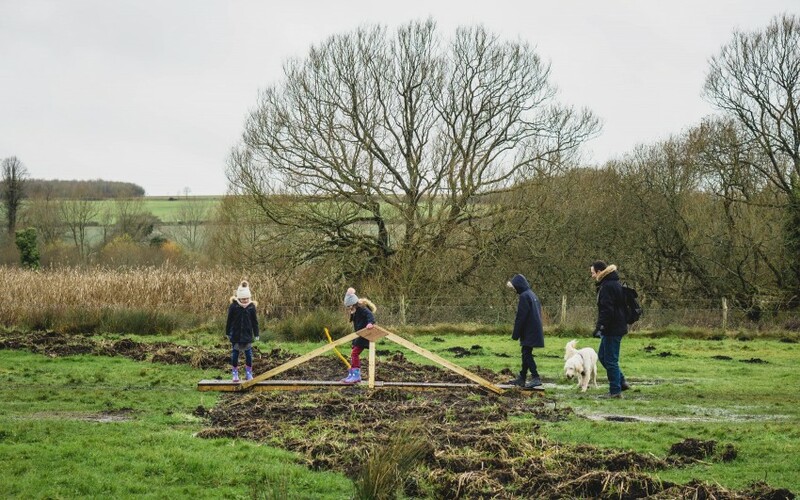 The site is a haven for bird species such as reed and sedge warblers, swans, moorhens, kingfishers, mistle thrush and reed buntings. 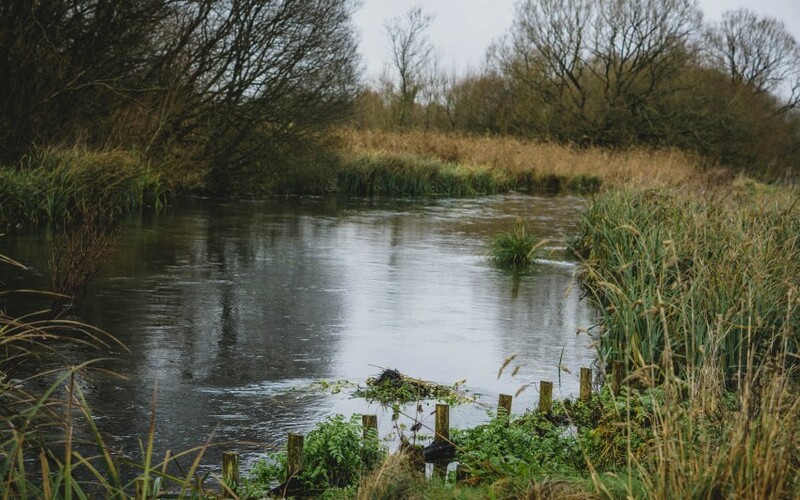 Water voles slip secretively around the edges of the river reeds and butterfly species such as Tortoiseshell, small copper and marbled whites can be found basking among the vegetation. You may also notice Yellow Meadow ant hills, especially to the southern end of the site, which are an important indicator of ancient grasslands. 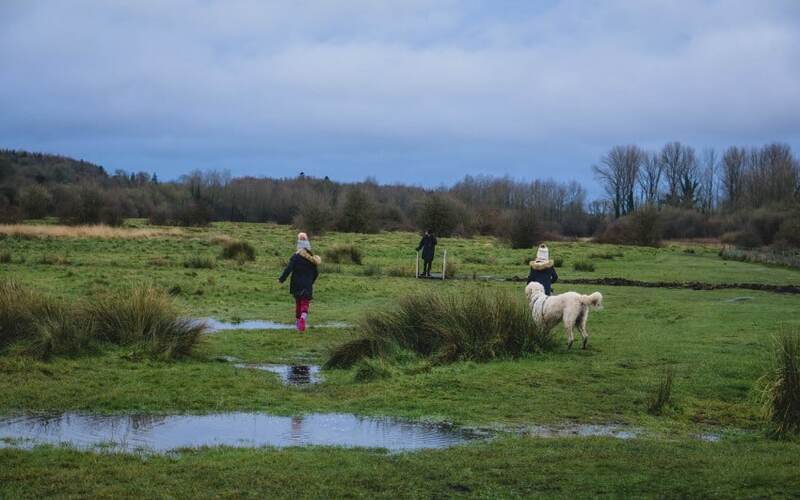 As it is so wet it was a perfect place to puddle splash, the puddles were massive and some were pretty deep! I was on puddle depth duty as I had the longest wellies on! 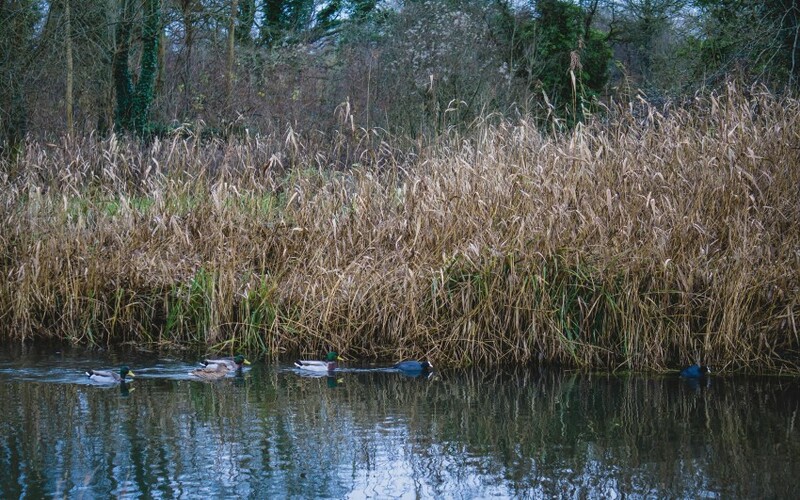 We heard lots of rustling in the water edges, I sure if I didn’t have my noisy 3 and the dog we would have seen something! Just your ducks and swans swimming along the river this time. It was nice just to explore somewhere different, Stockbridge is a lovely village too, so I am sure there was a nice coffee shop or pub to stop off in afterwards! However we headed home as it was getting dark, and it was a tiny bit snowing in the air! 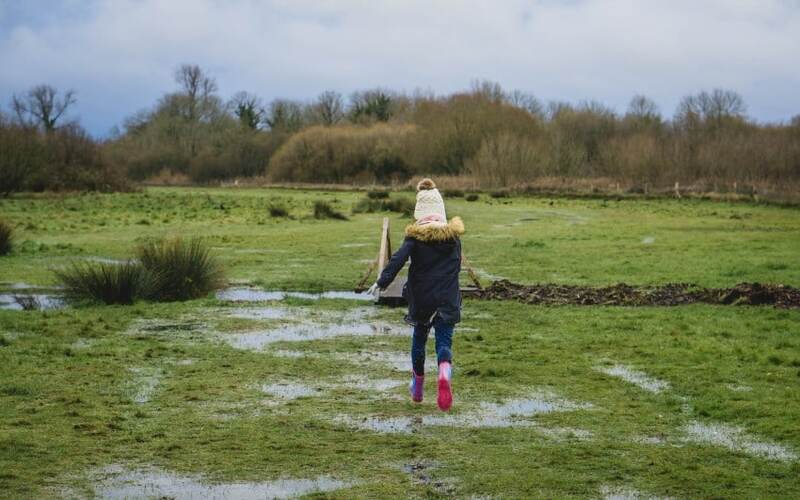 There’s nothing better than a trip to a NationalTrust area for some puddle jumping is there! 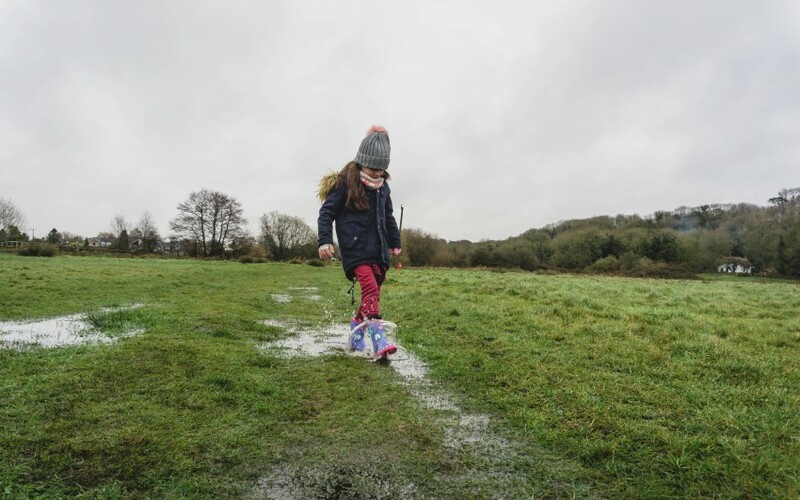 What a fabulous idea to explore somewhere new specifically for puddle-jumping! I shall try this out with my gang. Your photos are stunning, I love those soft close-ups and muted winter colours. Beautiful! Thank you very much, thats very lovely! They love it don’t they! 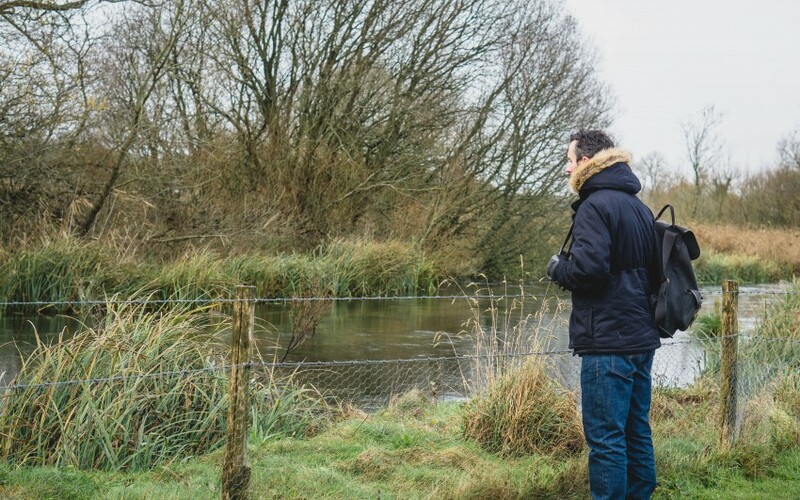 I do enjoy winter walks like this with the family. It can be hard to motivate everyone to go out in a bleak and almost snowy day but always worth it when you do. 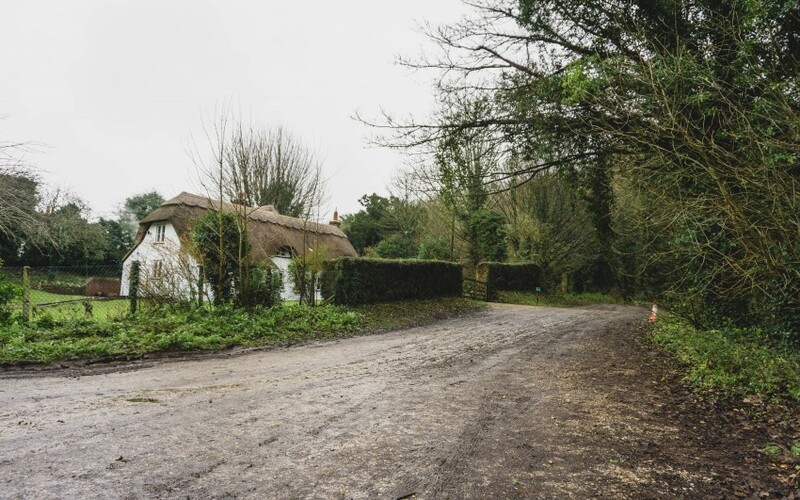 It looks very peaceful there and a great way to fill your lungs with fresh air and hopefully not your wellies with water! It always fascinates me to see nature adapting the the cold and wet. The kids were so happy to be free to run and splash! SO many places in the UK got it didn’t it! 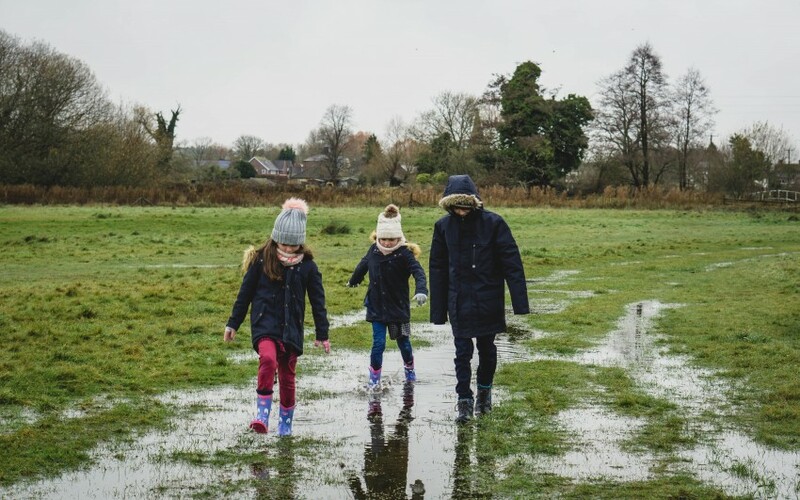 What a gorgeous walk and fab puddles…our garden is like that at the moment!!! I love them too, never thought I would be a National Trust person!! 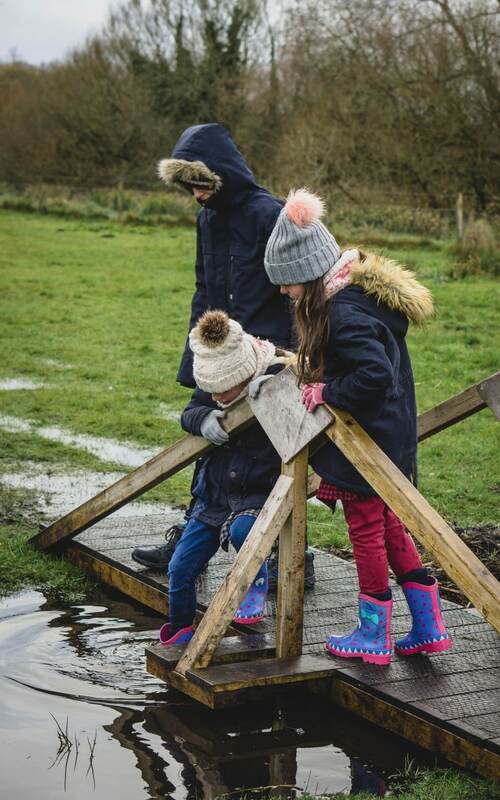 This looks like such a fun days out, you can’t beat a good puddle jump! I think it’s my two year old’s favourite activity. I think they love the freedom of doing it!